For this 2016-2017 Budget Year, Honolulu Mayor Caldwell is siphoning another $1 Million of Federal HUD Community Development Block Grant (CDBG) towards his $13 Million Pork Project in rural Hau’ula, Oahu. The objective of these Federal HUD CDBG funds is “to help improve the quality of life and create economic opportunities for its recipients in low-and-moderate income communities”. How does imposing an extravagant firehouse relocation onto rural Hau’ula’s last two business-zoned parcels fulfil the objectives of CDBG funds? 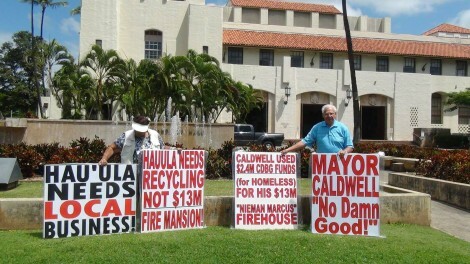 Through the years, Caldwell has already used at least $2.4 Million CDBG funds for this controversial Hauula Fire Station Relocation Project #2000068. This year’s $1 Million of CDBG funds is in addition to Caldwell’s concurrent request of $6.650 Million towards his pet $13 Million project #2000068! 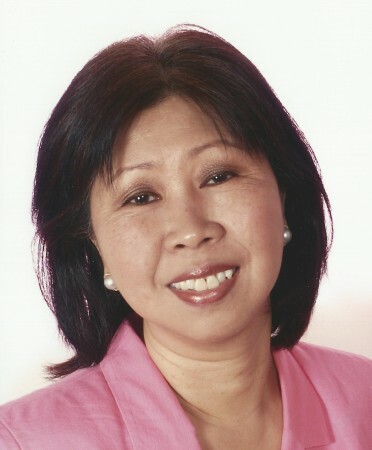 In March 2016, City Council Budget Committee Chair Ann Kobayashi asked the Director of Budget and Fiscal Services Nelson H. Koyanagi, Jr. if they were proud of what they were doing. She also chided the Mayor’s actions as “stealing” funds from non-profit groups. City capital projects are customarily funded through the General Fund rather than competing with non-profit servicers for these same special federal grants. 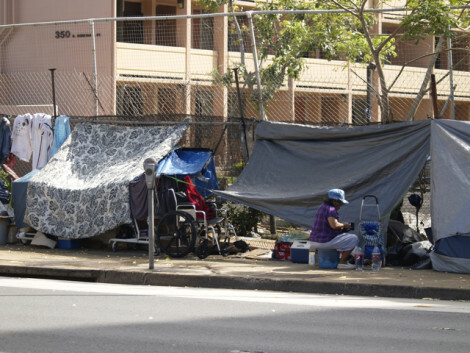 Thus, this CDBG theft is at the expense of more compelling social services and urgent needs for the most vulnerable homeless, women, youth, and other human services in Oahu. Many non-profit organizations with urgent needs have lost federal grants because these same funds have been siphoned to this extravagant project. The only reason we can come up with Mayor Caldwell’s intransigent and disjointed agenda is he owes this pork $13 Million project to some donors. This North Shore News’ Letter to the Editor provides a good brief summary for this conclusion. Hau’ula is a small rural town on the windward of Oahu with an existing firehouse. Since 2009, residents have been protesting against this extravagant $13 Million relocation of its existing fire station to another site, less than two minutes away. This project was initiated under the Mufi Hannemann Administration and Fire Chief Ken Silva in 2009. 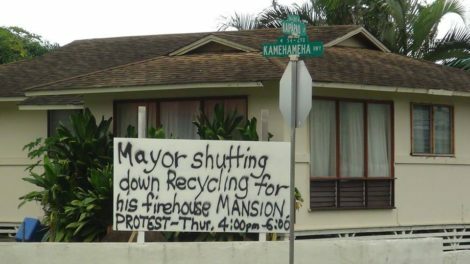 In fact, in 2011, Mayor Peter Carlisle and the Honolulu City Council responded to the local protests and approved $250,000 to fund a study for alternative sites. We don’t know what happened to this $250,000 or how it was used or what the outcome was. The Honolulu City Council had deleted and defunded Project #2000068 estimated at $13 Million for four years. Unfortunately, Mayor Caldwell continues to ramrod this project through, with Fire Chief Manuel Neves as his public relations lobbyist. Needless to say, there should be no “sacred cows” spending abuse at City Hall. 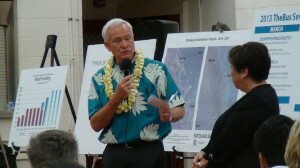 In August 2014, Mayor Caldwell circumvented the City Council and secretly siphoned another $1.4 Million of Federal HUD Community Development Block Grants (CDBG) that could be used to renovate homeless shelters like any of the following: rehabilitation of Pauahi Hale; rehabilitation of Kanoa Apartments, an affordable housing project in Kalihi; rehabilitation of Bachelors Quarters, an affordable housing project in Ewa Beach; acquisition of improved land for the City’s Housing First initiative; and CDBG-eligible public services in connection with the City’s Housing First initiative. 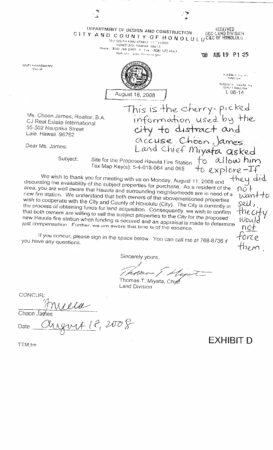 The City Council did not know about this unilateral action till shortly before the Mayor’s Press Conference on November 6, 2014. 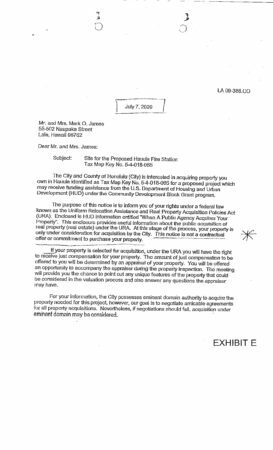 Mayor Kirk Caldwell vigorously bulldozed this project through, including retaliation by using heavy machines to tear down protest signs on the proposed parcel on May and October of 2013. His retaliatory behavior transpired during the pending eminent domain litigation in the Circuit Court. A federal judge ordered the city to pay for the attorney fees for these civil rights violation in June 2014. 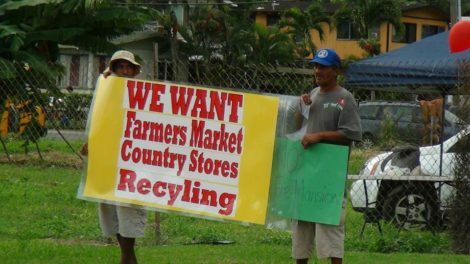 Caldwell also retaliated by shutting down the Hauula Recycling Center that provided a cottage industry for this low-and-moderate income community. 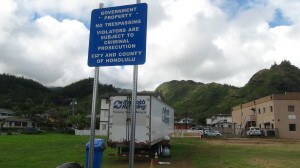 On October 21, 2013 city county workers installed a “No Trespass” sign to block the entry to the private recycling business to shut it down. Ironically, the homeless recycle by collecting cans and bottles in Hauula to buy a hot meal daily. Many do not own vehicles. 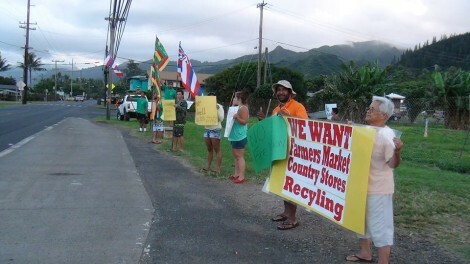 The next nearest recycling center is now in Haleiwa (about a 40 minutes bus ride). Even then, City buses do not allow bags of cans and other recyclables on board. 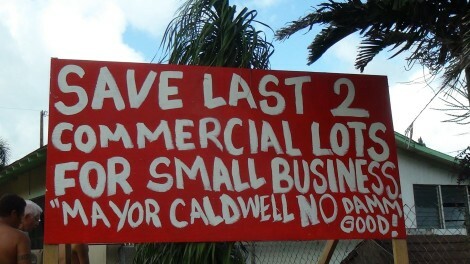 Caldwell’s decimation of the last two commercial-zoned lots shut out significant economic opportunities for local small business start-ups such as small country stores, recycling, and farmer’s market. Hauula neighbors have tried to sell the fish they catch, pastele, flower leis, laulau plates and other products on Hau’ula road shoulders only to be promptly chased away by the police for zoning violations. Decimating the last two commercial-zoned parcels contradicts the core purpose of CDBG funds – Mayor Caldwell is hurting entrepreneurial options for this low-and-moderate income community. Economic opportunities are quashed. The welfare of this low-and-moderate income rural community worsens. HUD CDBG funds are meant to improve lives and economic opportunities, not create more hardships and problems for its fund recipients. The people are asking for “bread” but Mayor Caldwell is forcing “cake” on them. 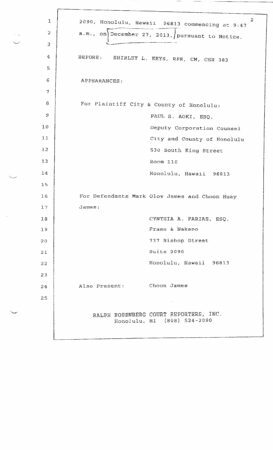 Three Hauula kupuna – octogenarians Marvin Iseke, Alice Ubando, and Shirley Ann Lessary are fighting the Mayor for due process, social and economic justice for their low-and-moderate income community. They have collected over 1,400 signatures/letters petition against it. 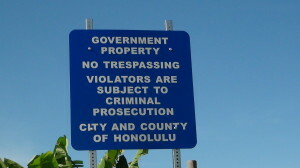 They have a pending lawsuit in the federal court against the City of Honolulu. It’s premature for Mayor Caldwell to ask for this extravagant amount when there is an ongoing lawsuit from concerned citizens and years of protests from the most affected citizens. The process and circumstances surrounding this extravagant project were flawed, filled with capricious circumstances, arbitrary actions, and nefarious manipulations. Most residents are not against new buildings but this project is grossly political and illogical. Many in the firefighting profession, including former fire commissioners and retired fire captains, are scratching their heads over this too. Even the civil emergency leaders have questioned this new location by the tsunami inundation zone. 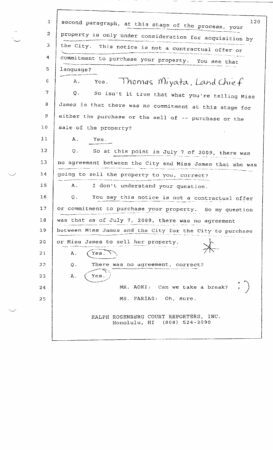 The Mayor hired “expert” consultant from Oakland California (!) to claim that the “Ewa Beach Fire Station” model (built in January 2013} for Oahu’s growing Second City as “very appropriate” for the small rural community of Hauula. 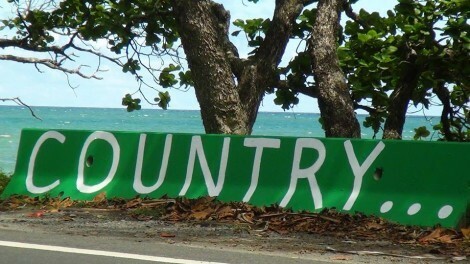 This contradicts the Ko’olauloa Sustainable Communities Plan – The Keep the Country Country region. Rural Hauula is not Second City Ewa. But the ‘expert’ does not consider that existing country roads in rural Hau’ula have not increased in size! 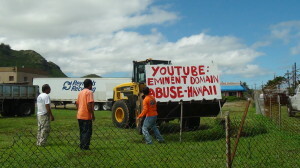 Hau’ula has existing problems with small and narrow country roads that smaller city garbage trucks cannot even ingress or egress. Garbage trucks also have trouble with low-hanging electrical lines. The Plaintiffs live next door to this proposed site but the city’s hired Environmental Assessment (EA) consultant never consulted with them or told them about this project in their EA review. An average firehouse costs $5 Million to build. 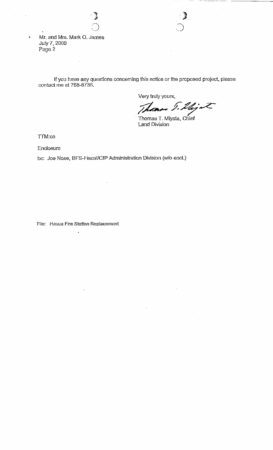 Why destroy the “Country” by foisting a huge $13 Million firehouse onto small town Hauula that already has an existing station? The irreparable damages that this Caldwell project will create in this little rural town are immense. 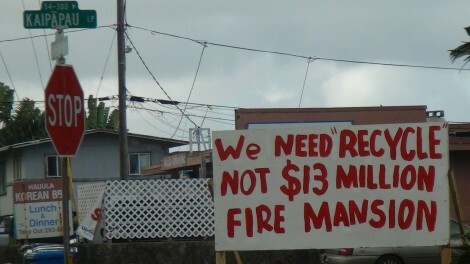 Does rural Hauula truly need a $13 Million relocation project to replace its existing firehouse? Why is Mayor Caldwell hell-bent on destroying the “Keep the Country Country”? Which non-profit group could use $1 Million of Federal HUD CDBG funds this year? Is $6.650 Million towards this $13 Million extravagant and controversial fire mansion a fiscally prudence request for this budget year? The Honolulu City Council must provide the “checks and balances” leadership as the public obviously cannot depend on Mayor Caldwell. Small town rural Hauula does not want an extravagant $13 Million fire mansion. The only fiscally prudent and logical decision at this pivotal juncture is for Honolulu City Council Chair Martin and Budget Chair Ann Kobayashi to delete and defund this pork project from this 2016-2017 budget. 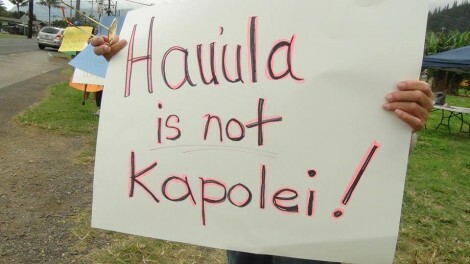 Listen to the affected people of Hau’ula and allow them due process and a place at the dialogue table.